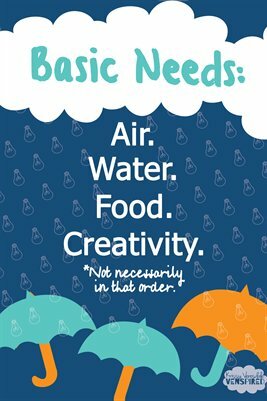 Basic Needs: Air, Water, Creativity. Because creativity IS a basic need. MakerSpace: What Will You Make?